Here are a couple of songs I've compiled for this week's Soul Pancake activity, create an on-the-go playlist of the five best songs to listen to while ‘people watching.’ Since I'm extra excited for this activity, I added 3 more tunes. Some songs I've chosen because it seemed appropriate and some are really about people, in general. Pardon me if majority of the songs are on the old side. I am old and not really that updated on contemporary music. And when I imagine actually doing 'people watching,' these are the songs that automatically come to mind. What songs do you deem fit listening to while people watching? 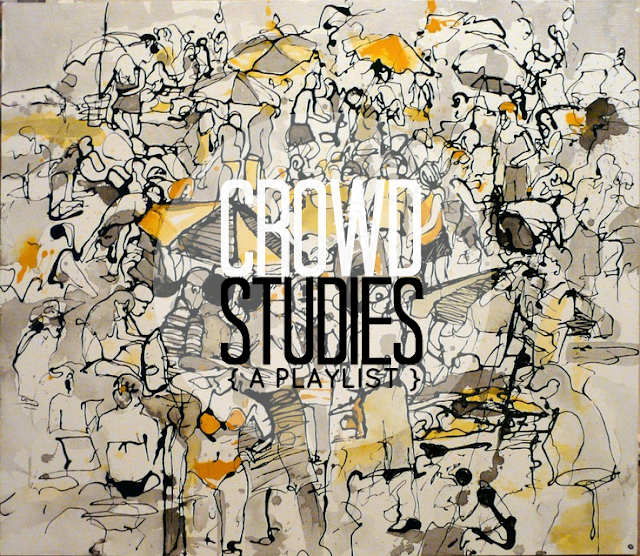 'Crowd Studies' and image credit to Amanda Joy Brown. I saw Jamiroquai on the list and I immediately opened the 8tracks link in a new tab. Listening to it right now. <3 Nice playlist!